Japan has a well deserved reputation for eclectic fashions and subcultures. One of the places where this is most apparent is in Yoyogi Park in Harajuki, Tokyo. Harajuku is the stomping grounds of many groups such as the Cosplayers, Lolitas, Goths, Goth Lolitas, and Takenoko-zoku, a.k.a. bamboo shoot kids, a.k.a. the Rockabillies. Today, this last group will be the focus of this post, although rest assured, I will be going back to Tokyo soon to document the other, equally fascinating tribes. The rockabillies are truly one of the most interesting subcultures that I have ever glimpsed or come across. Dressed like a bunch of extras from a Japanese production of “Grease”, they buck pretty much every norm of mainstream Japanese culture there is. Loud, proud, and completely unconventional, they are decked out in a 50`s style look of leather jackets and pants, dark denim, and massive hair held together by litres of hair gel. They show up every weekend, usually Sundays at Harajuku park to hang out, drink beer, blast Elvis music and have what can only be described as a Grease Lightning meets breakdancing dance off. According to my research on the internet, these guys, The takenoko-zoku, ie. The Rockabillies, are a subculture/style that sprung up sometime during the `70s and `80s. By the mid 90`s, for some reason, the local authorities decided that the Takeno-zoku were a menace to Japanese society and started to drive away the rock-n-rollers en masse. Perhaps they were becoming too rowdy? In any case, in the vacuum that was caused by the near extinction of the Takeno-zoku, many other, equally eclectic but more timid groups such as the goths, lolitas, cosplayers, etc ad infinitum popped up to fill in the void. However, every Sunday, the last remnants of the Takenoko-zoku, now endearingly referred to as the Rockabillies, and many in their middle age, congregate together on one of the corners of Yoyogi Park to participate in their ritualized traditions of drinking Asahi beer and dancing to 50`s classics. On a related note, one thing I find fascinating about Japanese subcultures is the paradox that their respective members find themselves in. As a collectivist society, Japanese culture is all about being part of a group. Naturally, the biggest group is society at large, which is why most people are not big on expressing their individuality and instead prefer to comform to the social norms. As is oft repeated, “The nail that sticks out gets hammered down”. However, many people decide that they have no desire to be a part of mainstream Japanese subculture, and so in the hopes of expressing their own individuality, turn to one of the many subcultures of different prominence in Japan. The irony ofcourse is that when substituting one group for another, Japanese people fully conform to the norms, standards, and social rules of their new, chosen subcultures. In searching for a new identity to call their own, they instead inadvertently become caricatures of their group. It could be said that the same is true for subcultures anywhere around the world, and this is true, but it`s just my observation that in Japan particularly, those people that choose to be a part of subcultures outside of mainstream culture tend to conform even more strongly to the norms of their particular group of choice. Anyways, these guys were quite interesting, and I was lucky to get a chance to film them since apparently, they sometimes don`t take too kindly to obnoxiously persistent amateur filmmakers like myself. I hope you enjoyed the video, dear readers. 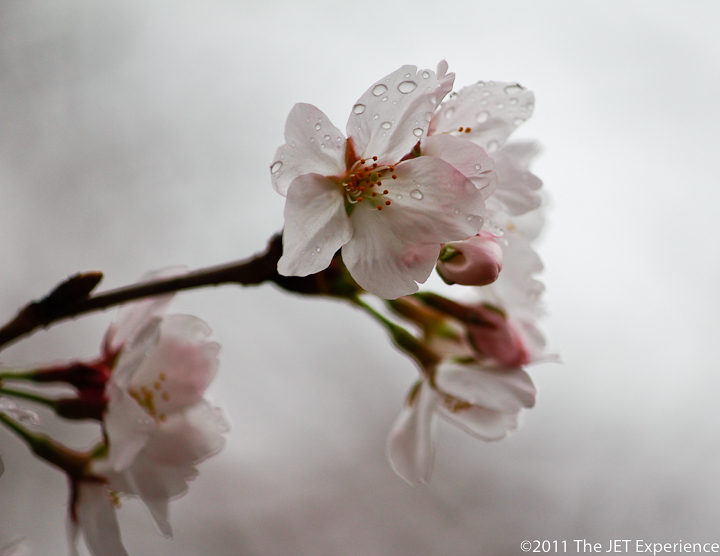 One of the most longstanding and recognizable symbols of Japan is the humble cherry blossom tree, or Sakura. Every year, the Sakura trees blossom into magnificent totems of dark wood contrasted by a dazzling array of pink flowering cherries. 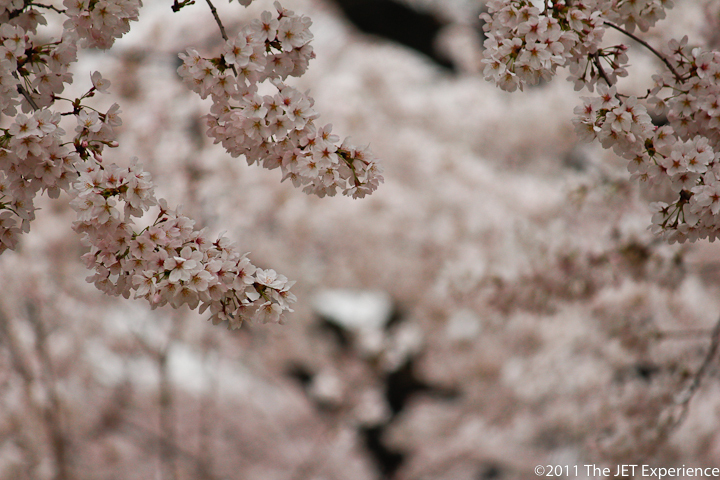 These flowers are known as sakura, or sakura blossom. 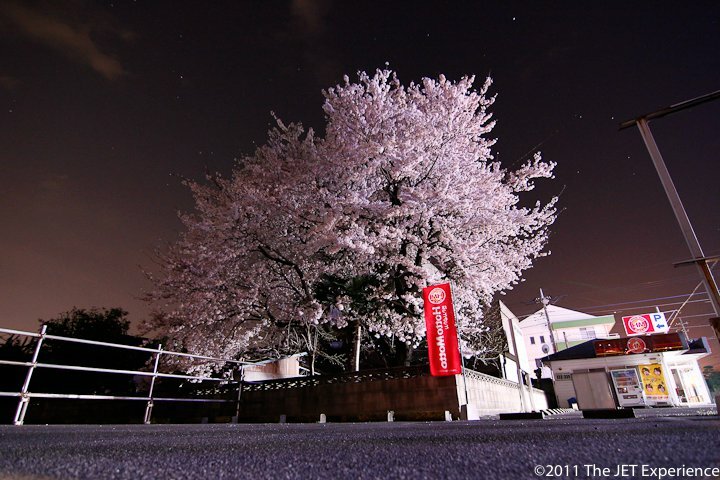 However, the sakuras bloom for only a very short period of time. 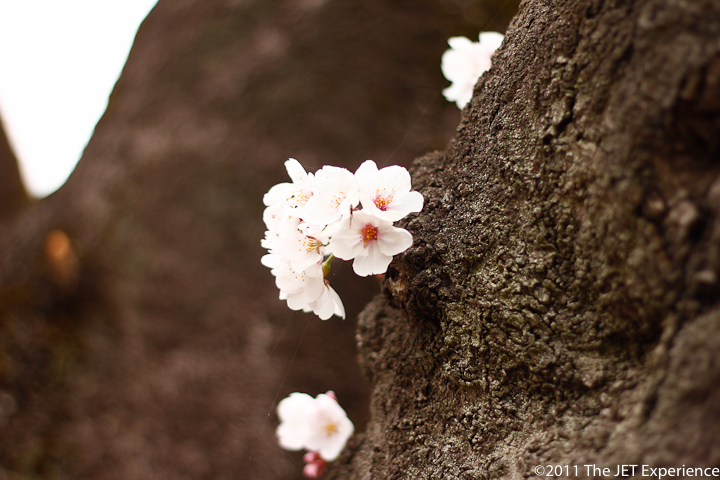 In the Tokyo region, they typically blossom at the end of March and reach their full bloom within a week and a half. By the third week, all but a scant few petals remain on the trees as the rest billow in the wind and scatter along the ground. Thus, they are revered throughout Japan for not only their beauty, but for the enduring metaphor of the ephemeral nature of life that they represent. This concept is known as `mono no aware`, lit. the pathos of things, and can be thought of as the Japanese term used to describe impermanence. However the nuance of the concept has a more poetic connotation – it is the idea that in the transience of all things, there exists a gentle sadness in its eventual passing and it is in this awareness of impermanence that heightens the appreciation of its beauty. Interestingly, this is a notion that is reflected throughout both historical and contemporary Japanese culture. Personally, I find this to be a beautiful way of looking at the world. Too often, we get caught up in the responsibilities, obligations and troubles of daily life. We constantly find ourselves thinking about the future and looking forward to the next big thing, never bothering to slow down and just enjoy the moment. If you think about it, the present is all we have. I mean, you hear that a lot but really THINK about it. Each moment is always, forevermore cascading seamlessly into the next. There is only an ever unfolding “now” and the only way to really and truly live is to live in the moment and appreciate it. The Japanese are pretty good at understanding this, or rather, at least once a year when the feeling is especially poignant during Cherry Blossom season. 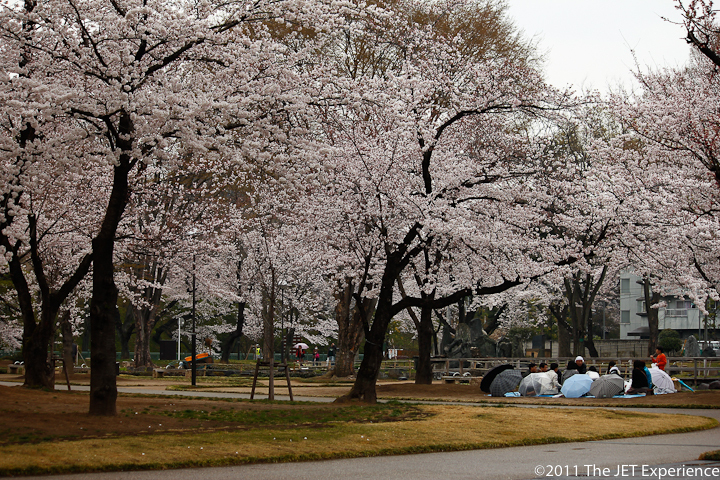 Every year around this time, people hold Hanami, or cherry blossom viewing parties. 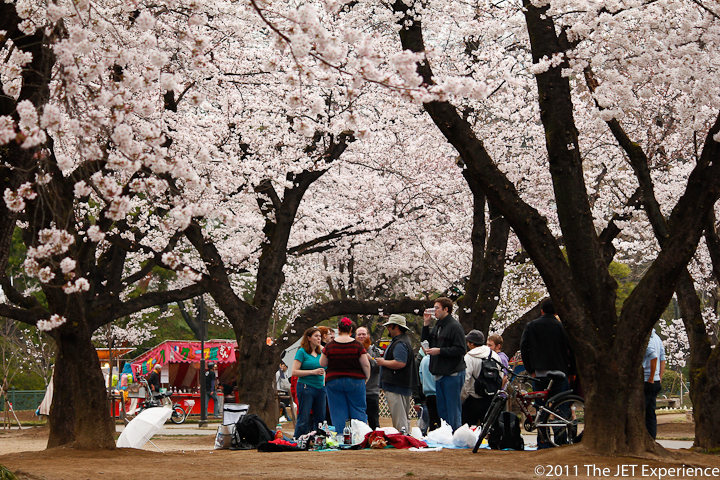 Friends, coworkers, and families put out tarps on the floor and hold picnics to view the cherry blossoms and enjoy each other`s company with food and drink. This year, a bunch of the Gunma JETs and ALTs gathered together for a Hanami at Takasaki Park. Although this year there was a notable decrease in Hanami parties due to the events of March 11, many people, us included, decided that the best way to show solidarity for Japan was to appreciate the cherry blossoms and reflect on the fleeting nature of life together. 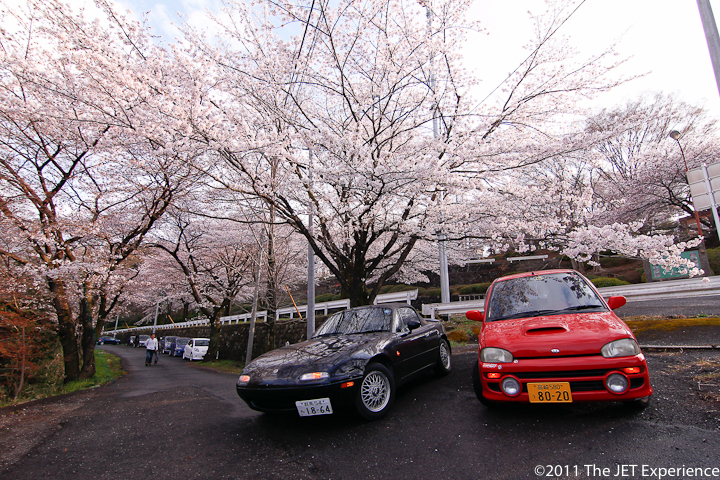 After the hanami, I went for a drive with my friend Jeevy (red car). We drove down the worn down streets of old Japan and as the cherry blossom petals fell over the road, and whisked about in the air around us, we decided to stop for a few pictures. 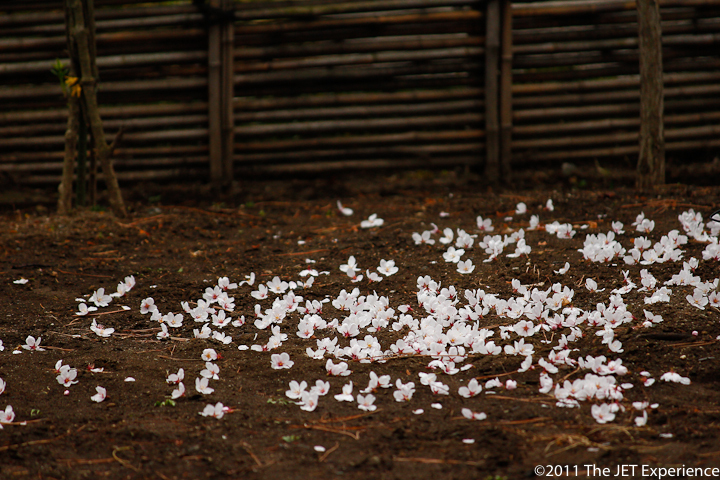 As i write this, the cherry blossoms are almost gone. Although I`m sad to see them go, I know that they wouldn`t be as beautiful if they never left. At least we`ve got pictures to look at until next year. Yep, I fell off the boat with the updates again. I went to Hong Kong for a week and since I got back a couple weeks ago, I`ve been spending all my time editing pictures and posting them on my facebook. I shot about 50gb worth of pictures and video and its been like a full time job working on everything. I`ll post some of my best shots here soon though. In other, local news..the new school year has started. That means new first years and new co-workers. Lots of novelty and excitement. 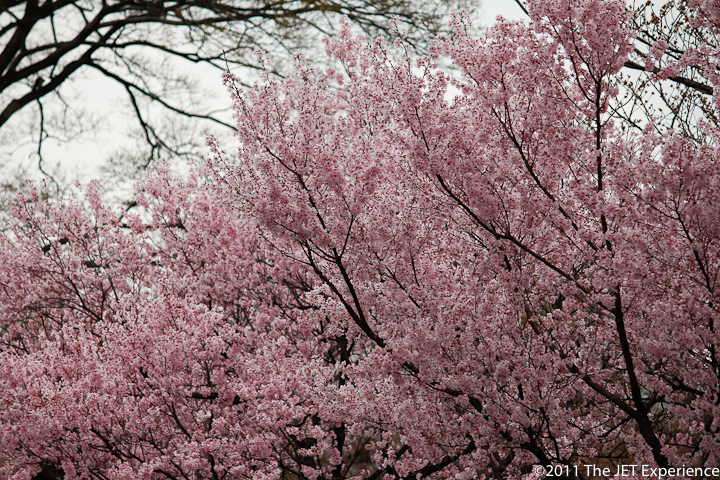 It`s also sakura season (well..it has been for the past week and a half, but the sakura petals are quickly blowing away) so Japan is really beautiful right now. Looks like JET acceptance notifications will probably be released this week. Goodluck everyone. The wait is almost over. In more international news..There haven`t been many adverse developments in the nuclear situation up in Fukushima. Thank goodness for that. Those brave souls are fighting tirelessly day and night so that the rest of us can keep on living normally. We are all truly indebted. There have also been lots of powerful aftershocks in different parts of the country lately. It seems that not a day or two goes by where there isn`t at least a small earthquake. It`s a bit unnerving sometimes, but at least now I have faith in the way Japanese people build their structures and buildings. They are really built to last through anything. Lastly, in relation to that, there is one more thing I wanted to share – this amazing and heartbreaking video of the struggles that the northeast is going through right now. Please, please try to give. If you watched the video, sorry if this post turned out to feel kind of heavy. I will post some more updates soon (sooner this time). In the meantime, thanks again for dropping by my blog, and leave some suggestions in the comments. I have a ton of ideas but I would love to hear what you, my readers would like me to talk about as well.